Yes folks, I’m very excited to say I now have four months off from the degree, following what I hope was a very successful exam on Thursday! Considering I’d been very worried about the whole thing, I felt it went really quite well – hopefully I won’t be speaking out of turn, anyway… I don’t get the results until mid-July, then I start the third year stuff in October, so I’m hoping for a restful, though productive, summer. I was really excited by this coming up last week over on FFG’s website, though the website is currently returning a 404 error on what seems like every news link, which is… odd. 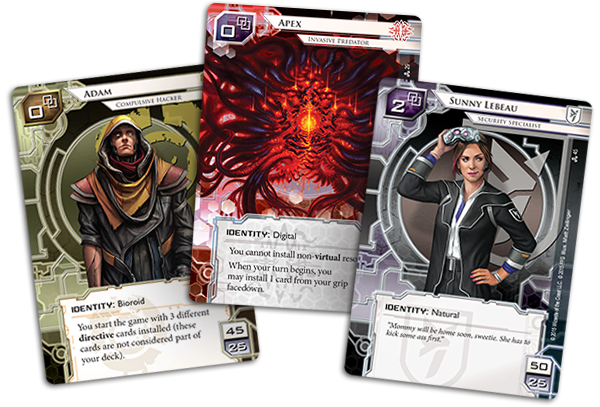 The fourth deluxe expansion for Android Netrunner features cards for NBN and three mini-factions for the runner, which seemed like too much of an awesome idea, let me tell you! The designer interview talks about wanting to have different options for the Runner faction without creating a traditional Neutral Runner. It was really interesting, anyway, and I hope the 404 error is just a minor glitch and not part of some nefarious scheme following a negative backlash about this. Online, everyone seems to be really excited about this development, anyway! As someone who has only ever played the Runner, I’m excited by this, anyway! This past week has also seen some more LCG packs released, which look pretty interesting, alongside a preview of the fifth adventure pack in the upcoming Angmar Awakened cycle for Lord of the Rings. The final pack in the cycle is still my favourite, but even so, this whole cycle should be one of the finest they’ve ever produced. Lord of the Rings has been on my mind a lot recently, too, as it’s a game I still don’t get round to playing often enough. Sigh, etc! I’m hoping I’ll have the time at some point to go over my decks and take a look at some of the adventure packs that haven’t seen any play yet – there are still plenty of them, disconcertingly! On the subject of games, anyway, this Tuesday sees a very special game come under the spotlight of awesome – that’s definitely one to keep an eye open for! At any rate, prepare for some exciting times as the summer gears up! Author spalanzPosted on June 7, 2015 Categories board gamesTags Android Netrunner, card games, Fantasy Flight Games, LCGLeave a comment on 4 months off!